Forces against the funding blockade put in place by the Dickey Amendment in 1996 have grown more vocal over recent years. After two decades of relative silence, many of the nation’s leading public health organizations, medical groups, and research universities have now come out against the research ban. Meanwhile, each successive mass shooting highlights the untenable tensions between public demand for expert knowledge to prevent gun death on the one hand and a government actively engaged in squelching this exact expert knowledge on the other. One would hope that it is only a matter of time before Dickey becomes too much of a liability for the politicians who support the silencer it places on public safety. What might such a sea change mean for public health? 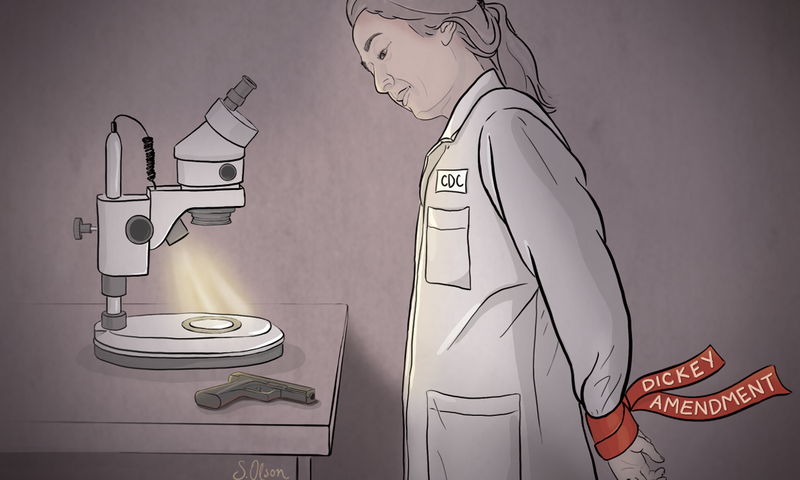 Lifting Dickey would ideally produce scenarios in which major funding agencies could support epidemiological research on firearm injury and death in the same ways that they do other vectors of morbidity and mortality. This would mean more grants for investigators, national databases available to study epidemic trends of gun injury and death, and opportunities for publication. All of this would help close yawning gaps in our understandings of best firearm-related policies and practices, leading to improved population-level health. But, if nothing else, the past decades have made clear just how deeply distinct guns and bullets are from other American vectors. The charged histories surrounding firearms in the United States has led to profound present-day political polarization and mistrust. This polarization, too, needs be an object of study, because research will fail to reach effective impact if not coupled with better understandings of the complex cultural meanings and anxieties that Americans ascribe to guns, and of the points at which conversations about best practices break down into acrimony. AJPH July 2018: Gun Violence: “What Researchers and Gun Owners Can Do,” in the American Journal of Public Health.